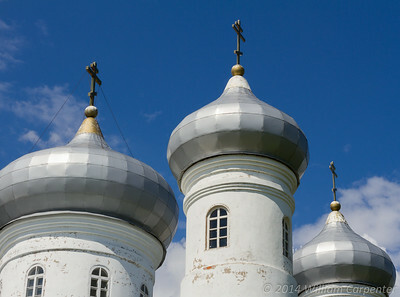 Photos from a day trip to Veliky Novgorod, one of Russia's oldest cities and host to a number of key events in Russian history. 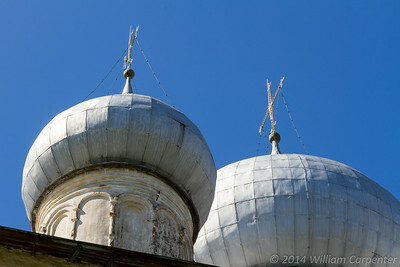 The first of probably too many onion dome shots in this gallery. 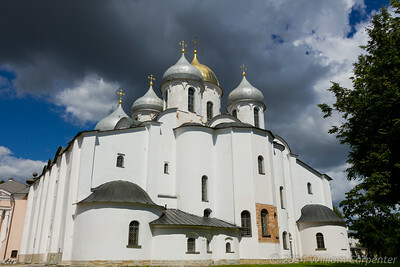 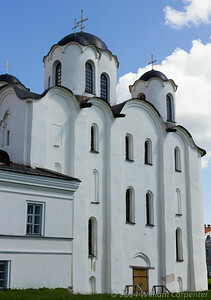 The Cathedral of St. Nicholas, completed in 1136. 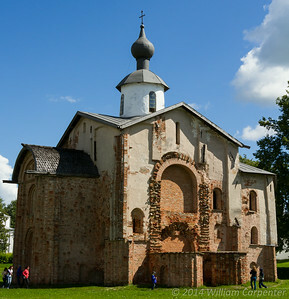 It is the second oldest building in Russia, after the Cathedral of St. Sofia, seen later in the gallery. 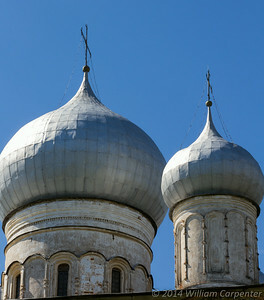 The Cathedral of St. Nicholas sports less-pronounced, more Byzantine domes than later Russian Orthodox cathedrals. 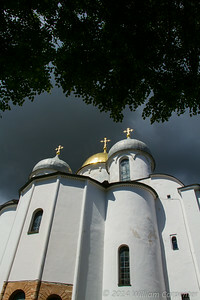 A cathedral immediately adjacent to St. Nicholas', the name of which escapes me. 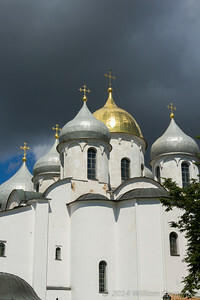 The group of girls in the bottom left are running around the church three times, a tradition said to bring good fortune in finding a future husband. 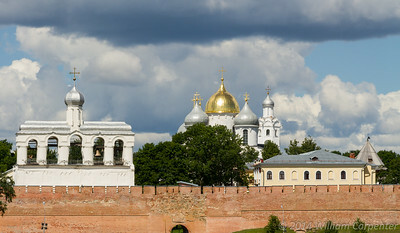 A first look into the Novgorod Kremlin from across the Volkhov river. 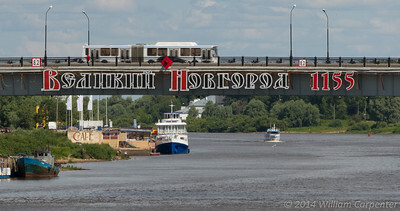 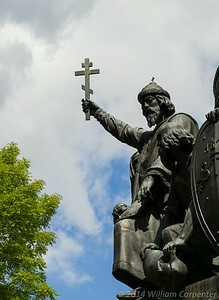 Earlier in the year, Novgorod had celebrated the 1155th anniversary of its founding. 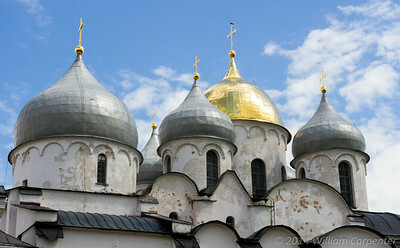 The Cathedral of St. Sofia, the oldest building in Russia, completed in 1050. 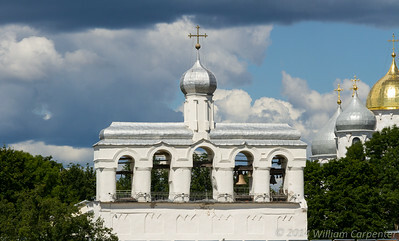 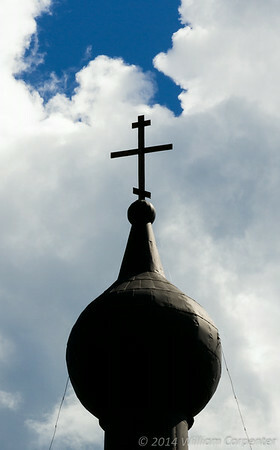 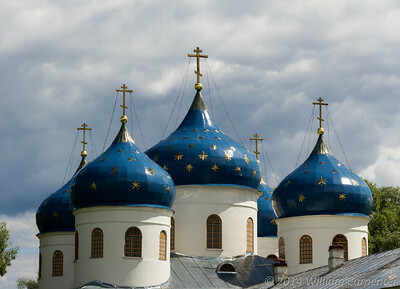 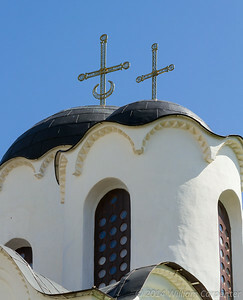 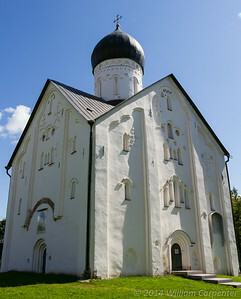 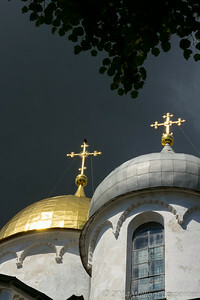 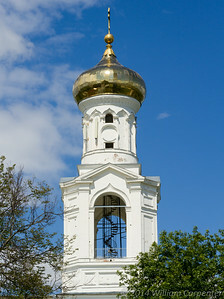 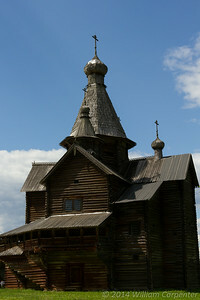 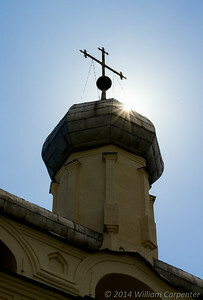 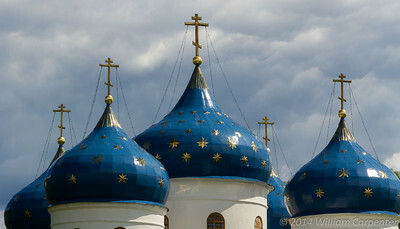 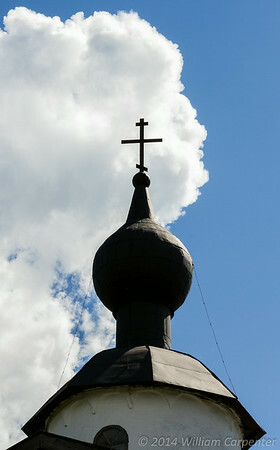 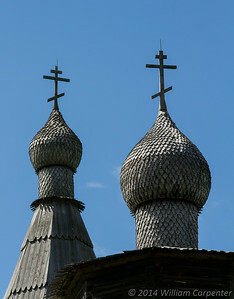 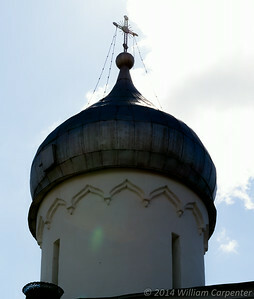 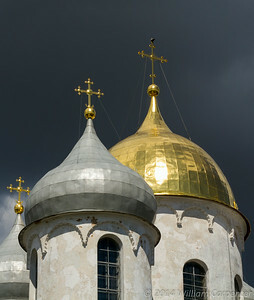 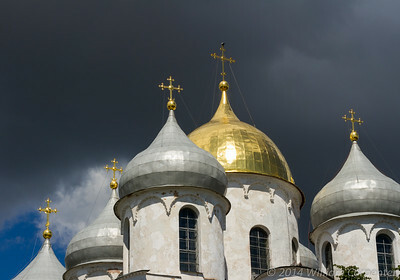 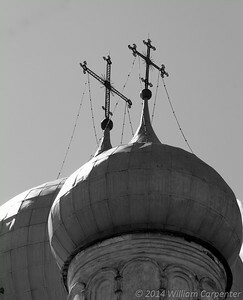 The larger, Russian onion domes were added after construction. 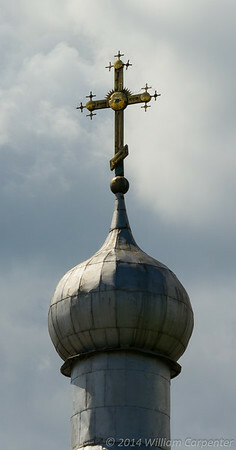 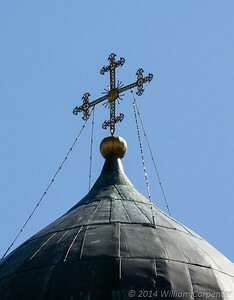 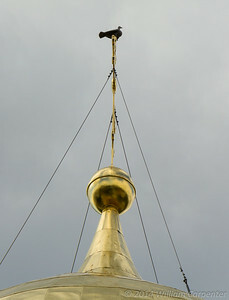 A small statue of a bird sits atop the three-bar cross on the cathedral's large, gilded dome. 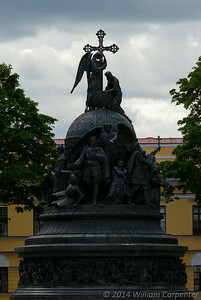 Local lore is that the bird was turned to stone after witnessing the numerous executions performed in the adjacent courtyard under orders from Ivan the Terrible. 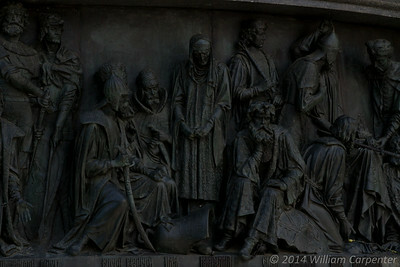 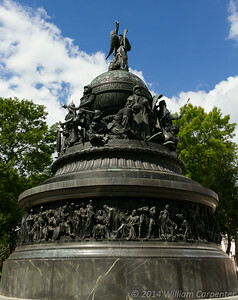 "Millenium of Russia", a statue built in 1862 to commemorate the first thousand years of Russian history, all of which are traced in the over 100 figures on it. 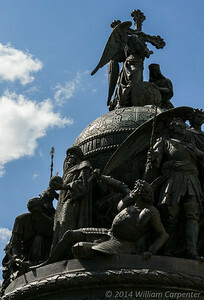 From this angle, Peter the Great is visible standing under the wings of his guardian angel. 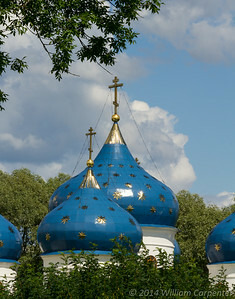 The five domes of one of the churches at the Yuriev Monastary. 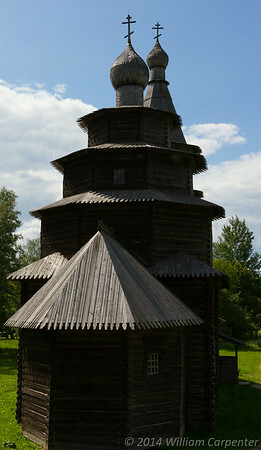 A church dating back over 400 years at the Museum of Wooden architecture. 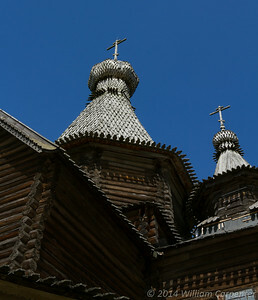 Many buildings have been carefully dismantled, moved to the museum, and reconstructed exactly as they were built: with no nails.